In a case that illustrates the growing number of off-label promotion cases filed under the False Claims Act, on May 7th it was announced that Abbott Laboratories had agreed to pay $1.6 billion to settle allegations that it engaged in fraudulent marketing of its drug Depakote. The global settlement included a criminal guilty plea and the settlement of various civil claims. Additionally, the Office of Inspector General of the Department of Health and Human Services (OIG) and Abbott have entered into a five-year corporate integrity agreement (CIA), which will allow for close regulation of Abbott’s conduct going forward. The case against Abbott reportedly began in 2007 when a whistleblower filed a lawsuit in federal court in Virginia under the qui tam provisions of the False Claims Act, a federal law that allows whistleblowers (also known as relators) to sue on behalf of the government for fraud. Three additional whistleblower suits were filed subsequently by others against the drug manufacturer, prompting a massive government investigation that reportedly involved witness interviews in 26 states and the production of more than one million documents. Abbott admitted in its guilty plea to marketing Depakote, which has been approved by the FDA to treat epileptic seizures and biopolar mania and to prevent migraine headaches, as a treatment for schizophrenia and behaviors associated with dementia. The case bears a strong resemblance to the Neurontin off-label promotion case litigated in 1996 in which Pfizer settled with the federal government and whistleblower David Franklin for $430 million in the face of allegations that it had promoted the drug Neurontin, a drug approved by the FDA to treat epilepsy, for treatment of numerous off-label indications not approved by the FDA. 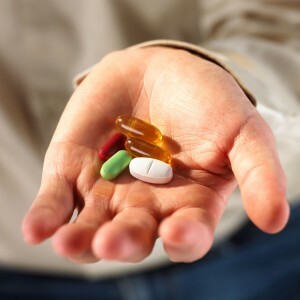 Under the Federal Food, Drug, and Cosmetics Act (FDCA), pharmaceutical companies may not market drugs for uses that are “off label” (i.e., not approved by the FDA). The Abbott case also bears another resemblance to the 1996 Neurontin litigation: Abbott funded two studies on the use of Depakote to treat schizophrenia, neither of which bore out favorable results for the drug Depakote. In the Neurontin case, Parke-Davis, a subsidiary of then-Warner Lambert, had conducted studies which showed that Neurontin was less effective than a sugar pill at treating the symptoms of acute mania. Abbott agreed to pay a criminal penalty of $500 million and an additional forfeiture of $198.5 million. According to the pertinent sentencing guidelines, Abbott’s criminal penalty could be as much as $800 million (twice the gross gain from the unlawful conduct). Under the False Claims Act, the government has 60 days subsequent to the filing of a relator’s complaint to decide whether or not it will elect to intervene in the litigation. Even if the government does not intervene, relators can proceed privately with their case. Victorious relators may receive anywhere from 15% to 30% of any final judgment or settlement. Furthermore, the False Claims Act includes vigorous protections against retaliation from employers for employees who engage in protected conduct under the statute, including any efforts made to stop violations of the False Claims Act.